Mining in Mongolia is nothing new, but after years of being overlooked the spotlight is now on this vast country’s reserves. British exploration teams were active in Mongolia over a century ago and more recently, exploration during the Soviet era discovered various mineral resources, some of which have been exploited. Various joint ventures were started with Soviet capital and expertise, the most important of which is Erdenet Mining Corp. (EMC), located in the city of the same name (which was created for the miners). EMC remains a key element of the Mongolian economy and is one of the top 10 copper mines in the world. Nevertheless, Mongolia’s resources remain largely untapped, as to date there are only a handful of large-scale investments. Ivanhoe Mines’ investment in the Oyu Tolgoi project, which is studied later in this report, could change all of this. Mongolia is a land locked country squashed in between the two giants of China and Russia. While Mongolians have had a proud history, fondly remembering the great empire builder, Chinggis Khan, more recently the country was colonized by its two neighbors. The People’s Republic of Mongolia began its transformation to a Western style democracy in 1990 when the Soviets left. In the immediate aftermath, in common with many post-soviet societies, the economy collapsed, inflation rose to astronomical levels, food shortages were rife and Mongolia and its people suffered. Since then, the economy has seen a considerable upturn, but Mongolia remains a poor country and around one-third of the population live in poverty. Recent years have seen a rise in wealth inequality in Mongolia. On the bumpy streets of Ulaanbaatar the destitute and homeless make way for expensive imported SUV’s which shuttle their owners to a rapidly growing array of foreign restaurants. George Tumur, one of the new generation of Mongolian mining leaders currently heading Hunnu Coal, also sees the potential of the Chinese market. “Energy demand is increasing everywhere, especially in China, which is the largest market geographically located next to Mongolia. It just makes sense to take advantage of this, but it has to be done in the right way.” He goes on to argue that Mongolia’s positioning right next to the northern Chinese manufacturing base means it makes clear sense to develop projects in the country. Mongolia’s mineral resources include gold, coal, copper, molybdenum, tin, tungsten and uranium. To date coal, copper and gold are the commodities which have attracted the largest investments. Peter Long, general manager Asia, Sedgman Engineering Technology, agrees. “We are headquartered in Beijing but we will be opening an office in Mongolia,” Long said. “We are committed to China but we find Mongolia an easier place to do business than China.” One important factor Mongolians like to remind foreign investors is that Mongolia is not a backward country desperate for foreign expertise and knowhow. “There are several mines in Mongolia which have been operating for decades and this means that Mongolia has its own specialists in mining and mineral processing,” said Ivan Lopatin, country head, Weir Minerals. “All of these huge deposits which are attracting so much interest overseas are not new,” said Gandush, CEO, Gobi Exploration, a local exploration company offering geological services. “The huge coal deposit in Tavan Tolgoi has been known about for a long time. The problem was that it wasn’t economically viable for extraction previously. Now the fundamentals in China have changed everything and made these projects viable.” The government is currently considering whether and to what degree foreign investment should be allowed on Tavan Tolgoi. This change in the economic situation has also given the Mongolian government a stronger hand when it comes to dealing with international investors. In the late 1990s and early 2000s, when the Mongolian government was financially constrained and mineral prices were low, potential investors could negotiate very attractive terms to come to the country. Now, the thinking of the Mongolian government is that the mining companies need them more than they need the mining companies, so the framework for entering is trickier and less stable. While this tightening of conditions has been criticized by many in the sector, the ultimate aim of the government is to establish a sustainable mining sector and avoid the twin problems of “Dutch Disease” and hot money inflows. Mongolia has been a market economy for a little more than 20 years. As a result, its regulatory framework is rapidly changing due to both economical and political factors. During the 2009 Spring Session and Extraordinary Session of Parliament, the government made 74 modifications to the current legal framework. Such is the pace of change, that new legislation or amendments may already have altered some of the information below. Overall, the Mongolian state recognizes the importance of foreign investment and encourages it, as is stated in the Mongolian Foreign Investment Law. Foreign investors and business owners enjoy the same legal protection as their Mongolian counterparts. Foreign investors can own 100% of any registered business in Mongolia without a local partner, except for the projects in which the state has a right to participate. The investment agreement between Ivanhoe Mines and the Mongolian government is believed to be the latest instance of the government’s commitment to attract foreign investment for the development of the country’s mineral resources. The agreement was signed on October 6, 2009, following a repeal of the windfall tax on copper and gold. The windfall tax is considered by many as the main reason for certain companies’ withdrawal from the Mongolian mining sector since 2006. The Windfall Profits Tax imposed a 68% tax on the portion of metal sales price in excess of $2,600/metric ton (or a $1.18/lb) of copper and $500/oz of gold (increased to $850/oz in 2008). “In 2006 the minerals law changed and the windfall tax came into play. We saw the exit of a lot of junior companies who just couldn’t get the financing to continue the projects, so they had to pack their bags and head back home,” said James Polson, executive director, Australasian International Diamond Drillers (AIDD), currently the second largest drilling company in the Mongolian market. An enigmatic figure in the Mongolian mining scene, Polson explains he combated this downturn by turning to China and Kazakhstan for business and proudly mentions that AIDD, as a foreign investment Mongolian company, is one of the first Mongolian companies to export mining services abroad. Kelly Cluer, director of exploration, Altan Rio, saw an opportunity in surviving the windfall tax for the purposes of pure experience. “We have stayed in Mongolia for a long time and all of these changes have given us extra knowledge and competitive advantage over other companies,” Cluer said. An important issue for many foreign companies is the Labor Law. According to the recent Labor Law of Mongolia, a company must employ 20 Mongolian employees for every foreign employee. Quotas go up from that level depending on the sector, and there are exceptions under certain circumstances. Any company with a mining or exploration license, for example, has a quota of 10% foreign employees, while for an oil and gas extraction company this rises to 80%. “This creates certain problems within the mining sector, especially for service providers which have to employ foreigners to educate locals how to use new sophisticated technology which has never existed in Mongolia before. We should employ more expats on a contract basis to train Mongolians,” said Professor Ochirbat. Licensing laws have changed for the better with the result that some 5,221 exploration and mining licenses had been issued, covering a total area of approximately 48 million hectares (32% of the total land of Mongolia) by the end of March 2009. The president has issued a ban on new mining licenses, although this is in the process of being revoked. The royalties might be soon increased to 7.5% from 5%, but VAT was reduced to 10%. Customs duty is 5% for most goods. Corporate income tax remains 10% on income up to MNT 3 billion (about $2 million) and 25% thereafter. The personal income tax rate is 10%. According to the law, the state may acquire up to a 50% share of a mineral deposit of strategic importance if the state has contributed to the exploration of the deposit at some point in the past. For all other mineral deposits of strategic importance, the state’s maximum share is set at 34%. It is important to identify what “strategic importance” is, but the Parliament of Mongolia is given the ultimate power to determine what qualifies as a mineral deposit of strategic importance. Typically “strategic importance” concerns a deposit with a size that may have a potential impact on national security, the economic and social development of the country at the national and regional levels or that is producing or has a potential of producing more than 5% of total Mongolian GDP in a given year. “Unfortunately, as in many other countries, sometimes people in Mongolia will do politics not business and newcomers should be prepared for it,” said James Liotta, attorney-at-law for a Chinese-based law firm, Lehman Lee and Xu. Another problem encountered by some mining companies is the environmental law which is believed to be used by the government to revoke some “unwanted” licenses. 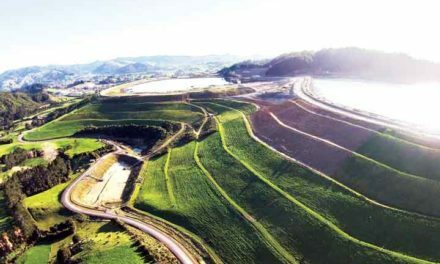 The companies generally need to prepare an environmental protection plan and environmental impact assessment to address any adverse impacts that their operations may have on the mine site. Before looking at the commodities sector in Mongolia, we must consider the underlying reasons for the interest in Mongolia and the commodities it can offer. The past 15 years have seen a gradual de-industrialization in the United States and Europe with a corresponding but more rapid industrialization in Asia, the lion’s share going to China. To begin with, the coastal areas around Shanghai were the principal benefit of this movement, however internal Chinese politics has meant there is more and more focus on the poorer north of China, specifically in steel production. Galsandorj, president, Mongolian Exporters’ Association, believes this boom in the north of China, specifically Gansu and Inner Mongolia province, has resulted in an increased demand for Mongolian raw materials. He explains that Mongolian exports are primarily minerals which account for 70% of total exports. In 2009, Mongolian exports were valued at $1.9 billion, of which $1.3 billion went to China. These exports consist of gold, copper and a variety of other minerals, but coal is the most important commodity. “In China as a whole, coal is used to generate about 70% of its energy,” said Turbayar, general director, Yuanda Group, a Mongolian-Chinese joint venture focusing on both the energy and mining sector via its subsidiary New Asia Mining. “Energy demand in northern China continues to grow robustly. This problem is not unique to either Baganuur, nor to Mongolia, but Dambapeljee has nevertheless been successful in attracting financing which they intent to invest in new machinery. These price restrictions on sales of thermal coal in Mongolia should be noted by potential investors wishing to take advantage of Mongolia’s growth in energy demand. What most foreign investors are interested in is coking coal demanded for infrastructure projects in China. Energy Resources’ rapid development of its projects has attracted a great deal of attention. Owned by Mongolian giant, MCS Group, as well as investors from other large Mongolian conglomerates and the European Bank for Reconstruction and Development (EBRD), Energy Resources has grown rapidly from its foundation in 2005. “In all my years here, we have never seen a client with every single employee totally focused and committed to their project,” said Mark Bailey, executive director, Leighton, which works as a contract miner for Energy Resources. Long expects this project to be the first of many for Sedgman in Mongolia. Energy Resources’ rapid development and success has taken the market by surprise. Questions remain, however, as to whether Energy Resources will continue to have the financial resources to develop this project or will it be forced to seek foreign investments or offer stock publicly. Even though Energy Resources’ mine is strategically located, it suffers from a poor transportation infrastructure. Connections to markets are complicated with possible train lines connecting to northern China (favored by business) or to the Russian market (favored by the government to prevent over-reliance on the Chinese market). The other main major private coal mining company is Mongolian Alt Corp. (MAK), which initially started out in the gold sector, before moving to coal products, as well as planning copper extraction in the future. MAK operates the Naryn Sukhait coal mine located 900 km south of Ulan Bataar, the capital, but within 50 km of the Chinese border. MAK operates an open-pit mine (similar to the vast majority of mines in Mongolia) with an estimated reserve of 220 million mt and current production capped at 3 million mt/y due to logistical constraints. “We are investing in a raw coal washing plant to improve the value of the commodity which we sell,” said Avirmed Ganbileg, vice president, MAK. “This will require considerable investment and resources, but we are convinced it is in the long term interests of our company.” Once again, there is no rail nor paved road connecting MAK’s mine, which is geographically extremely close to its JV with Qinhua Corp. as well as South Gobi Sands (SGS) mine. Indeed, it is significant that the Mongolian side of the border consists of a dirt road, improved by the mining companies but still rudimentary, but once the shipment has passed to the Chinese side, it is greeted with a tarmac road and modern rail links. David Bartel, Executive Director, SGS, which neighbors MAK’s mine, believes one of the biggest difficulties of working in Mongolia would not be the mining, but the infrastructure and transport. When SGS and MAK started operations, the border crossing was temporary, open only three times per year. This has since been increased, but problems remain. Currently the mining companies are pushing the government to upgrade the border to a 24/7 gate. In May, the local transportation companies that serve the SGS mine were on strike and picketing the border. This was costing SGS about $300,000 per day in lost revenue. A curious fact of the local legislation is even though SGS runs a vertically integrated mine where even security and catering are done in-house, they have to use a local transportation company to take the coal to the border. The Mongolian authorities argue transportation is just a small part of the total value chain, the vast majority being in the hands of the foreigners. By insisting on the use of local companies for this activity, the government is merely helping local companies to compete and gain business. In addition to MAK’s solo operations, it has also entered a JV with Qinhua Corp. from China in the development of another reserve also located in the same South Gobi region. This JV has given MAK access to resources and capital it otherwise wouldn’t have had, but Chinese entry in the Mongolian market remains controversial. Unlike the Russians, who are generally looked on positively in Mongolia, Chinese investment is looked upon with suspicion. Critics in the sector argue that Chinese investment is low key, low budget and adds limited value. They protest that ninjas (a term used to describe small illegal miners) from China illegally enter the south of the country to develop mines without training the locals, without investing in the country and without paying taxes. Some locals believe Mongolian government policy is aimed at keeping Westerners in, the Russians down and the Chinese out. One of the largest foreign investments is the SGS operation located just 42 km from the Shivee Khuren Mongolian- Chinese border crossing. SGS originally started under the Ivanhoe Mines umbrella, but has since been spun off to become a separate company which acts as the coal wing of Ivanhoe Mines. Recently SGS successfully raised C$459 million to help finance its operations. Apart from its big brother, Oyu Tolgoi, SGS rivals Mon En Co. and Centerra Gold as the largest international mining investment in Mongolia. To date, Ivanhoe still owns around 60% of SGS, but the two are operationally independent from one another and indeed, Bartel sees Oyu Tolgoi as a major rival for Mongolia’s limited skilled labor force. “We are investing a lot of time and money in recruiting and training local staff for our mine,” Bartel said. “There are a number of fundamental reasons for this. It helps to smooth things over with the local community if we hire people from the area, secondly it is cheaper than flying people down from Ulaanbataar every week, but mostly we want to be a part of the community. We want to have roots here and encourage loyalty from our staff so that they will stay with us for the long term,” said Bartel. John Karlsen, general director, Wagner Asia, the local distributor of CAT machinery as well as number of other internal brands, concurs with Tumur. Adi Desai, who covers SGS for Frontier Securities, explains that as well as an operating mine exporting both thermal and coking coal to China, SGS also own 18 exploration licenses with plans to spend around $20 million per year on continued exploration. He goes on to add that production targets are currently 4 million mt/y for 2010, with ambitious targets of reaching 8 million mt/y by 2012. The vast majority of this will be exported to China. By 2012 Bartel expects the Soumber pit to be up and running with a production target of 5 million mt/y. In addition to this investment, SGS intend to invest $80 million in a coal washing plant. South Gobi Sands is yet to make a profit and, while it has a considerable cash reserve to draw upon, there have been unsubstantiated market rumors that Ivanhoe Mines may sell its stake. A second property due to come into production in 2010 is Prophecy Resource Corp.’s Ulaan Ovoo coal mine. Ulaan Ovoo is a 208-million-mt resource of 5,204 kcal/kg low-ash, low-sulphur thermal coal contained in one massive 35- to 80-m-thick seam. Ulaan Ovoo’s coal is of post wash grade and is located 10 km from the Russian boarder and 120 km from the railway. Headed by the dynamic John Lee out of Vancouver, Prophecy only brought its Mongolian assets online in April 2010 but has moved at an incredible rate with a target of producing 250,000 mt in 2010 and 2 million mt/y in 2011. Prophecy’s model is to contract out in order “to minimize stoppage risk” and make “Prophecy a royalty stock, which the street loves,” according to Lee. Prophecy has a turnkey, pay-as-you-go contract with Leighton to mine 2 million mt/y at a cost of $12/mt and a 1.5-million-mt/y rail transport agreement. The rail agreement should allow them to sell either to the Chinese market, or as intended at present, to the international market via Russia’s East coast ports. Prophecy’s second project, Chandgana, is a massive 1-billion- mt, 4,300-kal/kg coal property. Chandgana is very much in the planning stage with the property held under an exploration license, but it has the potential to change the game for Mongolian coal. “The plan is to build a power plant and we have been approached by two bona fide Chinese parties who are interested in building a 4,200-MW power plant at the site which would require 20 million mt/y of coal,” Lee said. The site is only 100 km from the Mongolian nation grid (itself linked to Russia); while there is currently a power deficit in Mongolia any megapower plant would require substantial power infrastructure investment and access to China. “We are 700 km from the Inner Mongolian [Chinese] grid, obviously there would be power loss but it is still very viable…. (and) the basic economics of it are fantastic,” Lee said. MEC has already hired contract miner Leighton to conduct mining operations and Mohan Datwani estimates they will invest around $2.85 billion in the country over the 19-year mine life; this will include a washing plant and an airstrip. They are also confident the border crossing will be upgraded in time for mining operations. Schaeffer said they want MEC to be a global energy company, with further projects in China (MEC already has one project in the Xinjiang province) as well as continued exploration in hard minerals as well as coal. Tumur is a well regarded veteran of the mining sector and is the former head of Energy Resources operations. His business strategy involves bringing on board local partners which avoids certain difficulties with licenses. “We did not want to get into the licensing tenders, so our partners are the local small companies which needed funding and development support. So we provided investment and expertise to begin joint ventures with them,” Tumur said. Licensing can be a difficult issue, according to Tumur, particularly for foreign companies. Typically, individual speculators with no knowledge of mining and very limited financing acquire them and then try to flip them. Within the sector however, EMC is seen as a national champion. While many state companies have been encouraged to look for foreign investment, there is little enthusiasm for privatizing EMC, especially when copper prices are strong. Oyu Tolgoi (OT) is the largest undeveloped porphyry-copper-gold resource in the world. After more than nine years of negotiations, changes in the law, accusations and demonstrations, the agreement allowing exploitation was finally signed on October 6, 2009. It seems that the whole country, as well as outsiders interested in Mongolia, were waiting for this with the kind of excited anticipation that usually precedes a general election. In a way, this is what it was, such are its potential consequences for the nation. Oyu Tolgoi has an estimated mine life of 40 years. It is also the largest development project and foreign investment in the history of the country. “The capital estimate for the project between now and “first ore” is $4.6 billion, to be spent over the next three years. To date we have invested around $1 billion, largely on drilling,” said Keith Marshall, CEO, Oyu Tolgoi, which is owned 66% by Ivanhoe Mines and 34% by the Mongolian government. Rio Tinto in turn has a considerable stake in Ivanhoe Mines. Ivanhoe and Rio Tinto are supplying the cash and expertise. Atlas Copco and Rio Tinto have formed an alliance to develop autonomous drilling solutions for surface mining as well as tunneling concepts for underground block cave projects, and for Oyu Tolgoi specifically. Tulguldar Tsogtsaikhan, manager, Micromine in Mongolia, an Australian company providing exploration and mining consulting services for clients around the globe, believes Oyu Tolgoi could benefit the country. “It could be a great development for the country providing things are done correctly,” Tsogtsaikhan said. “What will make it interesting is Oyu Tolgoi wants the best; the best suppliers, the best technology and the best partners.” Tsogtsaikhan said this can be difficult for some Mongolian companies as they were brought up under a communist environment when coal was mined to produce energy, not to make a profit. Some companies have arrived in Mongolia just for this project, such as Major Drilling, whose current operation is focused on Oyu Tolgoi. “On the Oyu Tolgoi site, we have been operating nonstop since 2002 even through the cold winter months,” said John Ross Davies, country manager, Major Drilling. Despite the harsh winters and language barriers, he hopes to work more with the national companies of Mongolia in the future and continue local training as well as learning from Mongolians. Christian Blunck, country manager, Sandvik, also hopes to become a service provider for Oyu Tolgoi. “It is currently the main project in Mongolia and a great drive for us in the long run, but there is a lot of alternative business activity in the service mining sector also.” Blunck hopes to firmly establish his company in Mongolia and work with other projects alongside Oyu Tolgoi. Naturally, Oyu Tolgoi faces a lot of criticism and pressure from various social groups in Mongolia. Some do not trust Ivanhoe Mines to operate the biggest project in the history of the country; some are unhappy they are not getting an adequate piece of the pie. Unfortunately, many people in Mongolia believe the foreigners are simply digging money, Mongolian money, from the ground and taking it out of the country. With the help of its shareholders, most critics hope that Oyu Tolgoi will be an example of a well-organized mining operation meeting international standards in Mongolia which will give the local people an opportunity to learn everything they need for future large-scale projects. Whether Boroo Gold will receive a mining license to go ahead with the Gatsuurt development remains uncertain. Boroo Gold was involved in two major controversies; they suffered a bitter strike, which included a small hunger strike in 2009 which shut down the mine. Miners were angry that their severance packages, necessary once production declined as the mine reached the end of its life, didn’t reflect the profits of the company. “We pay four times more than the standard mining wage in Mongolia, but gold mines by definition don’t have the 50 year life span, say, Oyu Tolgoi will have,” said Doug Khan, director of finance, Boroo Gold. “Thus layoffs are necessary.” Regardless of the rights or wrongs of each side, Boroo Gold’s operation became unpopular with the Mongolian mining community. The second controversy regarding Boroo Gold was its insistence of signing a stability agreement when it arrived in the country. Boroo Gold arrived at a time when gold prices were low and when the Mongolian government was very keen to attract foreign investment. Boroo Gold was able to negotiate favorable terms. With the continual rise of the price of gold, the Mongolian government’s attitude changed. In 2006, Boroo Gold was forced back to the table to renegotiate the agreement and since then has suffered from severe criticism regarding the level of tax the company pays (the stability agreement exempted them from the windfall tax). Boroo Gold were guilty of nothing more than negotiating a good deal, but at the same time Boroo’s difficulties represent the deeper underlying problems in Mongolia between the foreign investor and the Mongolian mining community. The growing Mongolian service chain consists of multinational companies, Mongolian companies with international capital and Mongolian companies with local ownership. For a small, technologically under-developed market, Mongolia has no niche player which it can claim to be a leader of any particular sector, nor a manufacturer of any but the simplest equipment. Mongolia remains a location for sales and demand rather than R&D or as a global exporter of mining services. But Mongolian companies are slowly ascending the value chain. Naranbaatar is also a believer of investing heavily in his company, Glogex, a mining consultancy hoping to move into contract mining. “For the mining contract services I have been very clear that we will not be purchasing Chinese equipment,” Naranbaatar said. “We will be purchasing Cat equipment from Wagner Asia. We want an experienced partner with the best equipment and we are not afraid to pay more if that is what it takes. The problem with some Mongolian companies is that they see Chinese equipment at 1/3 of the price of Western equipment and don’t take into account the increase in productivity and the lower maintenance costs of the latter.” Wagner Asia was one of the first companies to benefit from foreign investment in the market and has gone on to become more than just the Cat distributor. Wagner has been in the market for more than 10 years, longer than most foreign companies, meaning they have both a loyal client base as well as a loyal employee base that has been trained up over those years. Newcomers into the market, such as Zimine, a joint venture between Murubeni (a large Japanese trading house) and Tavan Bodt Group have to pay well to poach staff. One of a new brand of Mongolian leaders is Gantumur, general director, Ochir Undraa, a Mongolian conglomerate involved in the supply of mining equipment and blasting via its subsidiary, Mera. Gantumur’s experience previously told him there was a gap between the workers and the managers. “We have decided to work within a very progressive structure whereby we encourage communication and interaction between all people in the company so that we can harness the best ideas to move our company forward,” Gantumur said. He also indicates corporate social responsibility is an important factor in moving Mongolian companies forward, but few others have so far followed Ochir Undraa’s lead. Mongolian companies also suffer from a weak banking sector and a lack of access to credit which makes it difficult for them to compete. The Mongolian government recently had to step in to offer a state guarantee on savings following the collapse of two medium sized banks during the financial crisis. Randolf Koppa, president, TDB, one of the better performing banks in a weak sector, argued the GDP in Mongolia is expected to grow with the mining sector investment. This will mean the banking and financial services sector will need to get its act together. The Uranium sector in Mongolia is courted by controversy. In May, Khan Resources, a Canadian junior company, had both of its licenses withdrawn. Khan Resources’ main focus was the Dornod uranium property, which was formerly an operating mine under the Soviets. Under Mongolian legislation, Khan Resources would have been obliged to hand more than 51% of its resource to the government, however things are looking considerably worse. Sources within the sector say the Russians were unhappy their former mine had been sold by the Mongolians at such a low price as they were willing to come in to redevelop the mine. The Russians then launched a hostile take over for Khan Resources which was refused. Since then Khan Resources licenses were taken away on a technicality and unless its legal battle proves to be successful, there is a chance that Khan Resources will be left with nothing. Martin Quick, CEO, Khan Resources, explained the circumstances surrounding the controversy, specifically when Khan was trying to sell its assets. “We had two offers for the company, a Russian bid and a Chinese bid. We accepted the Chinese bid, which was the highest bid and look what happened to us,” Quick said. Khan Resources has invested more than $20 million in the property, but they face an uphill battle getting either its licenses or shareholders investment back. Mongolia has 20 years experience of democracy, but remains a politically uncertain place. Concerning the investment environment, potential foreign investors are worried in particular about the 34% stake that the government has in the Oyu Tolgoi project, Khan Resources’ legal issues and whether the tax environment will remain stable. They also closely watch Centerra Gold’s investment. “What international investors look for is stability,” said Mike Lelliott, operations manager, Aquaterra East Asia LLC, a water solutions company working closely with Oyu Tolgoi. “They need to know when they invest the goal posts aren’t going to move.” “Whether or not Mongolia fulfills its growth potential depends on whether the government establishes clear and consistent frameworks and regulatory regimes that gives business the confidence to invest,” said Nick Audin, strategic marketing manager, Orica. Mongolia is a relatively high risk, high reward environment. The unfortunate problem with Mongolia is that while the international investors are looking for stability and a profitable business environment, national interests are concerned only with what the mining sector is doing for them. “At the moment there is a feeling in the sector that a lot of direct foreign investment goes straight into a foreign company hiring expensive ex-pats and then straight out of the country,” said Nyambayar, director, Best Drilling. Currently there is concern in the government that Oyu Tolgoi is not using enough local contractors. Its two largest contractors, Redpath and Major Drilling, are Australian and Canadian respectively. There were unconfirmed plans for Fluor Corp., OT’s infrastructure contractor, to hire 2,600 Chinese workers to work on infrastructure projects. In a smaller way, MEC hired a Chinese company to work on its infrastructure in the West of the country. Also in fairness to Oyu Tolgoi and MEC, few Mongolian companies have the capacity to take on certain operations so managers must balance between making a good business decision and a good political decision. Mongolia is open for business, though conditions can be tough. Mongolia has significant natural mineral deposits and even now companies who enter will be amongst the first. While China’s appetite for raw materials and energy remains insatiable, opportunities will abound However so long as there is a disconnection between the interests of the international companies and the national will, the environment can be considered as troublesome. If ordinary Mongolians directly see the benefits that the mining sector can bring to them, and international companies truly engage in long-term investments which include and cater to Mongolian concerns, then international mining can play a crucial and beneficial role in the country’s development.